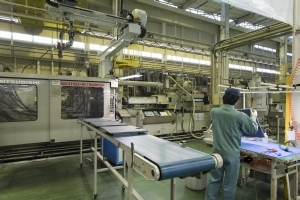 ﻿ Production System | Technology | Noritsu Precision Co., Ltd.
To maximize product quality, we have been manufacturing products using an integrated process, from part fabrication to assembly. Here you can learn about our reliable assembly system and the advanced fabrication techniques we have developed in our large factory. 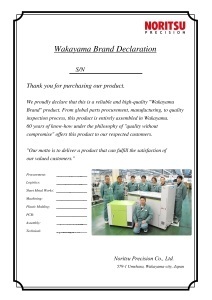 All QSS models we manufacture come with a Wakayama Brand Declaration. 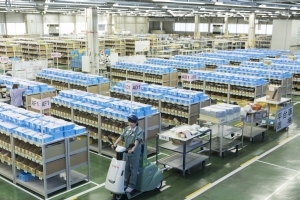 It certifies that these products have been manufactured to deliver the manufacturing quality we have built up over the years at the Wakayama factory, and that our staff made a concerted effort to manufacture the products with the greatest care to satisfy our customers. We will continue to make every effort to manufacture reliable products that live up to the Declaration. To ensure low-volume, high-variety production, our expert technicians manually assemble and complete products one by one. We continuously strive to improve quality, mostly using production lines and jigs we have developed in-house. Clean rooms: Our factory is equipped with booths with air cleanliness up to class 100. Jig development: Jigs we have developed in-house enable consistent high-quality assembly. We have achieved fully integrated manufacturing of sheet metal products, carrying out each process from cutting out metal sheets with a state-of-the-art laser-punch combination machine to bending, welding, and coating within our own factory. 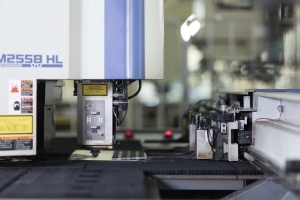 Laser-punch combination machining: The 4-kW laser provides a minimum thickness of 6.0 mm. Bending: We are capable of bending a maximum length of 2,500 mm. 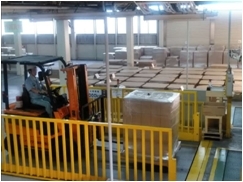 Press working: We have press machines with a maximum capacity of 300 tons. Junction processing: We have a variety of engineering techniques and technology, including spot welding, stud welding, riveting, TIG welding, and MIG welding. Coating: We have achieved a highly wear-resistant coating and thermosetting treatment with a powder baking finish. We perform milling and turning. Our processes particularly feature precision high-speed machining of aluminum and stainless steel and are also capable of low-volume, high-variety production. Turning: We are also capable of machining difficult-to-machine materials, such as stainless steel and titanium, as well as providing mirror-like finishing. Milling: We have achieved high-speed, high-precision machining of aluminum and unmanned operation by a multi-pallet machining center. Quality control: Our equipment includes a 3D measurement instrument, a surface roughness and shape measuring instrument, and an ultra-depth shape measuring microscope. We hold variety of molding machines from small to large sizes (1,300t class), and gas-assist molding enables to achieve high-quality production. Injection molding: We own a 1,300-ton molding machine, which is the largest class even in the Kansai area. 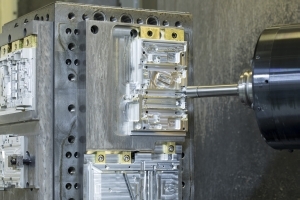 Gas assist molding: Our high-pressure gas equipment achieves stable molding of even complex profiles. Automatic insert molding: We are capable of composite molding of bonding-free rubber rollers with different types of materials. 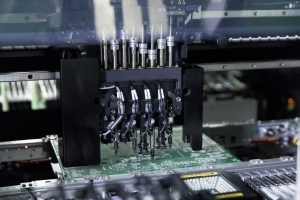 We perform mounting on various types of PCBs in an environment where thorough anti-static measures have been implemented. Mounting technology: BGA/QFP. We are capable of a fine mounting pitch of 0.4 mm. Our strength is the material procurement capability that allows us to supply products stably to 180 countries worldwide. The scale of our procurement encompasses about 500 subcontracting manufacturers and about 10,000 types of items. In addition, we promote environment-friendly material procurement by following the Green Procurement Guidelines. We, as an exporter, develop/strengthen security management and compliance system. to achieve smooth oversea shipping. For domestic delivery, we apply the same level management system and operation system.